Our Managed Plans provide streamlined and worry free design, management and support of your eLearning Platform by us for you! Extensive custom coding and software customizations! With our Managed Plans, there is no limit on the type of customizations we will do for your made-to-order eLearning platform. You can think of us as your own personal development team! * Our Professional Plan includes 15 hours/month of customization, a $15,000+ value annually FREE! * Our Enterprise Plan includes 20 hours/month of customization, a $20,000+ value annually FREE! * Depending on your own specific needs, both plans can be customized per your contract. 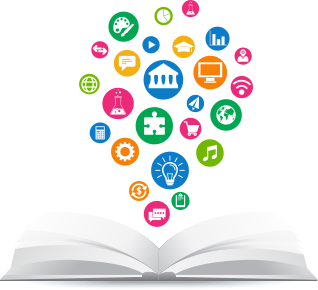 We populate your eLearning platform with all of your courses, quizzes, assignments. You provide the content, and let us do the work! Onboard unlimited Corporate Partners (a.k.a Course Manager Feature). Analysis and eLearning platform migration service from your prior platform. Dedicated Customer Success Manager assigned to you! All our Managed Plan customers have our 24/7 Expert Customer Support provided by the same developers who built our platform. Single Sign-On integrations for your company and products. Custom-made 3rd party integrations with systems such as SalesForce, HubSpot, Click Funnels and other CRM and marketing platforms. Read more about our Custom Integration here. Custom contract and terms & conditions based on your individual needs. We believe your eLearning Platform should adapt to you, not the other way around! This is why all our Managed Plans include FREE development hours to give you the customization you need. Read more about our Customizations here. Is a Managed Plan right for you? You understand the value of investing in your eLearning platform and can afford a budget of at least $9,500/year for your eLearning platform. Peace of mind and money saved. You know that you have specific needs or requirements that cannot be met by regular eLearning platforms vendors. You will likely need specific customizations for your platform. For you, it makes more sense to pay a flat fee for your eLearning platform that is inclusive of customizations than to worry about paying for every customization separately. Your time is valuable! You know the value of having our team of experts manage the creation of your platform, pages and courses, allowing you to focus fully on growing your business. You know what you want. You already have an existing business and you know exactly what is needed to scale it to the next level. Security and control of your data. Your course content and the safety of it is paramount to you, with a Managed Plan you have complete transparency into how your data is stored and who can access it. You have specific legal and regulatory compliance needs that require a custom contract and terms. Interested in a Managed Plan? Schedule a call with our team using our calendar below.